Welcome to BestWeaponLights.com! We’re here to help you find the best deal on Weapons and Tactical Lights. Not only that but we have all the best advice when it comes to Weapon Lights. Some recommended products may use affiliate links. 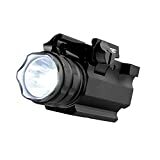 BestWeaponLights.com is a participant in the Amazon Services LLC Associates Program, an affiliate advertising program designed to provide a means for sites to earn advertising fees by advertising and linking to Amazon.com. Amazon and the Amazon logo are trademarks of Amazon.com, Inc or its affiliates.